ATR handles Management of Change or (MOCs) with its powerful Centurion Management System. Change management often gets bogged down with manual processes. Your folks are busy and have lots of jobs on their plate. ATR's Centurion workflow software streamlines administration of MOCs and change requests. 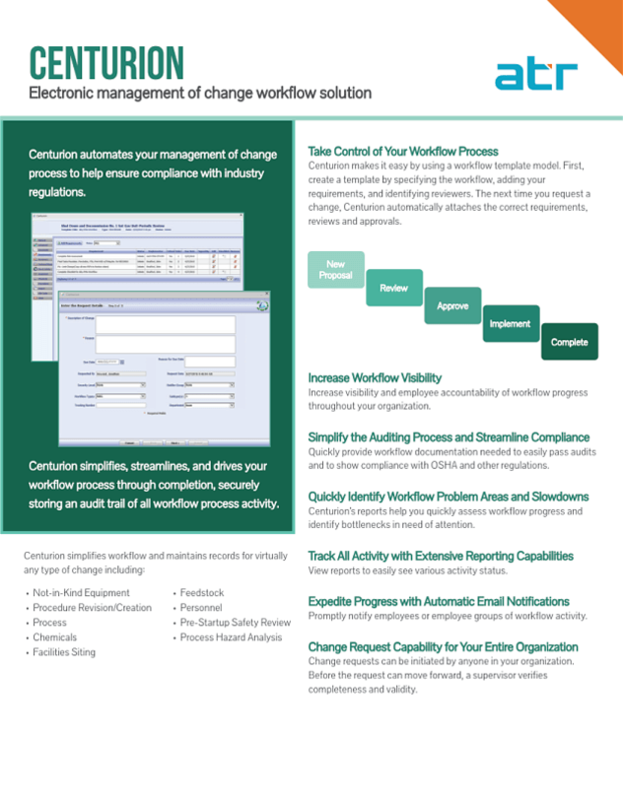 Download spec sheet highlighting primary features and benefits of the Centurion Management of Change (MOC) system.